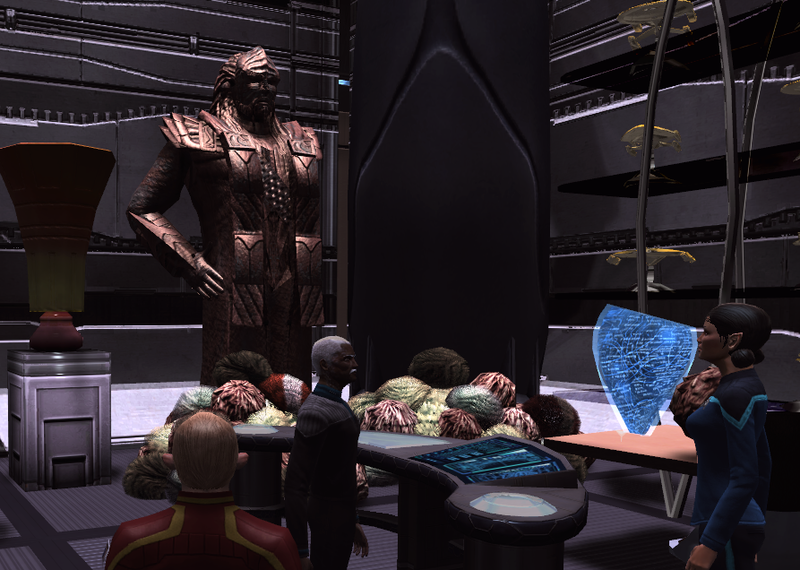 After years in deep space, Starfleet Command have begun to doubt whether your still suited to the front line. Finally you’ve given them all the reason they need to strip you of your command. Finding yourself with no ship, no crew, no purpose…. How will you deal with your final mission: RETIREMENT. But… perhaps there is a possibility for your to prove your worth once more. This is one of those rare episodes that focus completely on story. 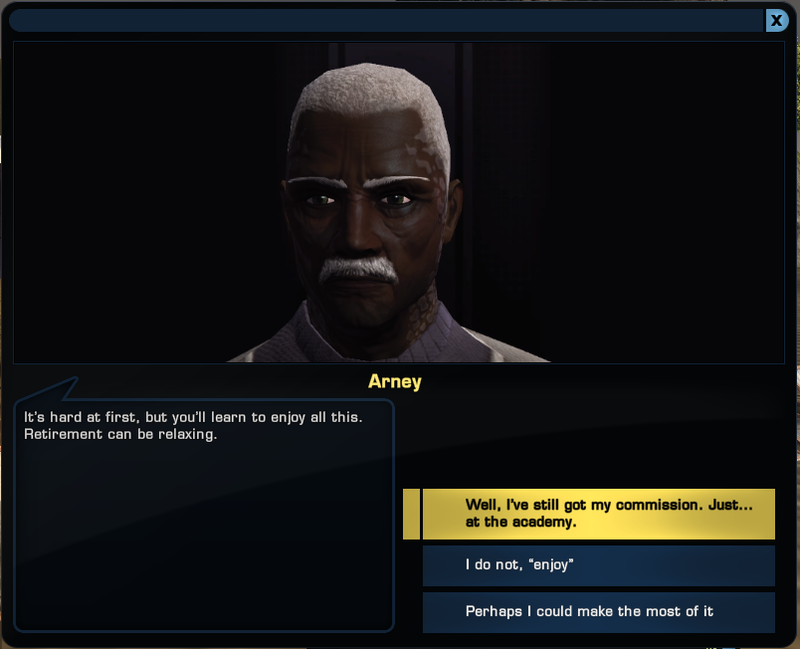 Combining mastery of the Foundry tool with a genuinely entertaining and well-written story, ‘Your Mission Has Ended’ is a real treat. It’s challenging to give a detailed review of the plot without spoiling it, so I’ll just say that the story is engaging and interesting, with a good mix of melodrama, humor, and TNG-style “adventure science.” The pacing is excellent and I never felt like I was fighting through pointless exposition. Every dialogue screen contributed to the story. This episode extensively and effectively uses branching dialogue to help give the player a customized experience. The episode used several stock maps – notably the “old Risa” map and the Odyssey Bridge. 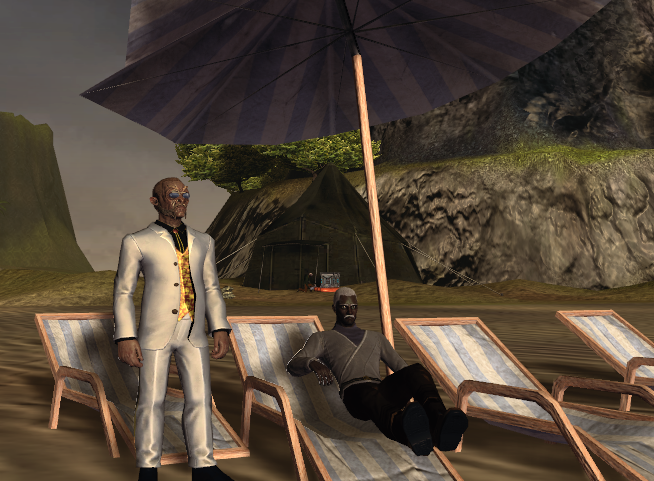 The author effectively used triggers and animations throughout the two maps to support the story; the author also used many custom costumes to add a sense of individuality to the actors. The author also included a custom interior featuring a well-scripted parallel interaction sequence. 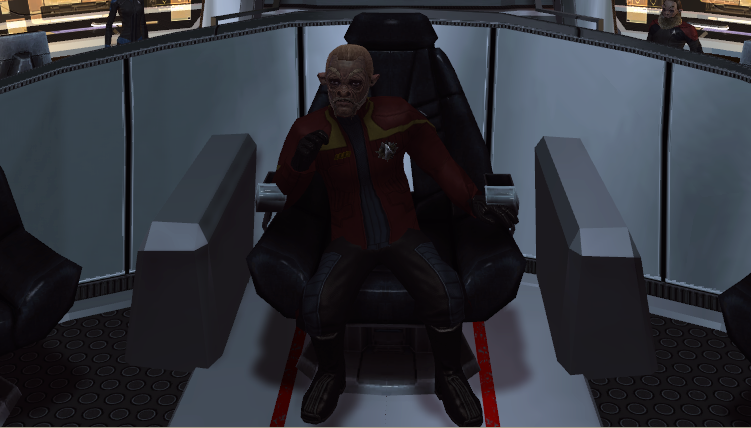 Finally, in addition to the instanced maps the author made extensive use of the Starfleet Academy social zone. I did observe some minor issues. The mission tracker does not identify the location of the starting door, and I identified three grammar errors related to word choice. None of these issues detracted from the mission at all. From the base score of 64 points, this mission lost 8 points for the issues listed above, but gained 27 points for innovation, humor, and fun. The final score is 83 of a possible 100. 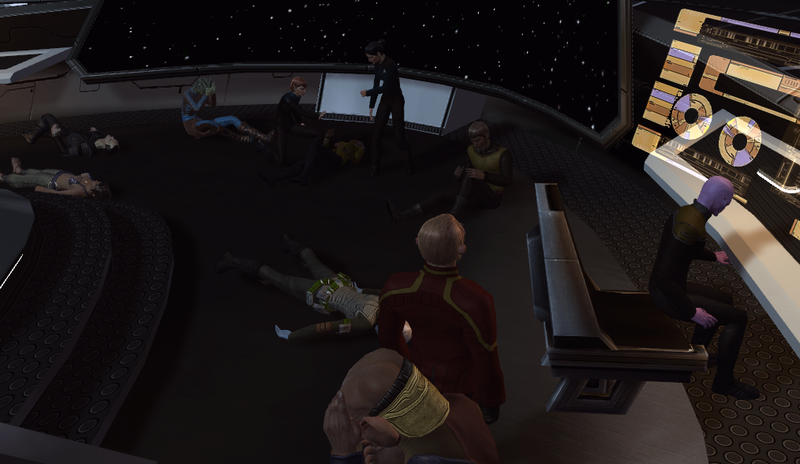 This entry was posted in Uncategorized and tagged Final Rank, Odyssey Bridge, RETIREMENT, Starfleet Command. Bookmark the permalink.